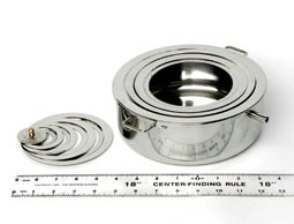 Ideal for heating flasks, beakers, tubes, etc. Concentric rings, flat bottom and steam escape outlet. 8" Diameter x 2 3/4" Deep.